. : ELoad marathon race report: Gatineau Loppet 2016 :: Ski XCOttawa.ca :: Skiing in Ottawa and Gatineau Park :. 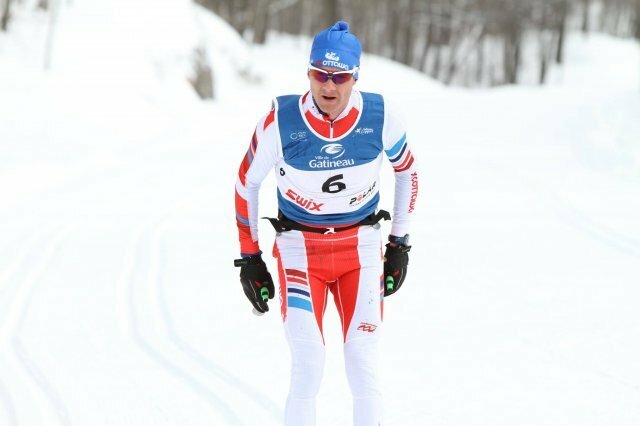 Last weekend marked the start of the 38th Gatineau Loppet. Held a little later this year to coincide with the Ski Tour Canada, the Loppet provided weekend racing for over 3000 skiers from all over the globe. XC Ottawa's continent of Karl Saidla, Megan McTavish, Sheila Kealey, and Ingrid Hagberg all braved the signature event or 51km classic. Race day dawned at around -12 degrees, a nice change compared to the past few years of roughly -19 or so. The tracks were fresh and solid, also a nice change compared to the extremely snowy tracks from 2015. New this year, the women's A-wave was given the 4th and 5th chevron in the men's A-wave mass start, making for an exciting start. When the day was done, Scott Hill, of Team Hardwood/NDC Thunder Bay was crowned the men's champion. Julien Locke of Blackjack was in second and Ian Murray was third. Both Scott and Julien were fresh off the plane returning from World U23 championships in Romania, and Ian Murray once again chose to double pole the entire 51km course. XC Ottawa's Karl Saidla finished in 6th, less than 4 minutes off the pace. Karl skiing up towards Fortune (Dave McMahon photo). On the women's side, the race was won by Brandy Steward, formerly of Nakkertok, but now living in Bozeman, MN. Megan was close behind in second, and Elissa Bradley from Portland, Maine was in third. Sheila finished three minutes off the pace in 4th. Megan looking strong (Dave McMahon photo). New to the Gatineau Loppet this year was the team competition for the 51km and 27km skate and classic races. Teams must have at least 5 members, and at least one must be a woman. The top 4 times of the team counted towards the overall team winner. The XC Ottawa team of Karl, Ingrid, Megan, Sheila, and Riel (XC Ottawa alumni) was proud to finish first in the team category! 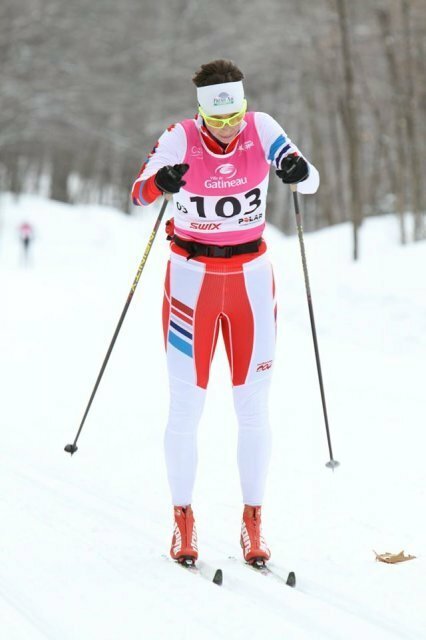 In addition, XC Ottawa was proud to ski the Gatineau Loppet in support of the Little Angels Blood Cancer Fund. The fund provides financial support for patients undergoing treatment for blood cancer at the Ottawa Hospital. The funds help patients experience financial difficulty by funding non-medical expenses such as travel, accommodation, child-care, food or hospital parking. XC Ottawa raised a total of $900 towards the Little Angels!